Hi. I want to update my blog with new stuff. But I do not know if you will like it. So I made a poll! Here. This will go away in a week or I will stop looking at it in a week. Please vote and one of the upgrades will come if I get no voters. Bye! Hi. I am back! In my last post I said I will be back in a week. But the plane lost our tickets, so it was a long car trip. And I am having a hard time catching up, so I thing I might get one more post up soon. Well. Bye. Club Penguin Be back in a week! Hi. I have not made a post for a bit of time and this is why. I am going on a trip and I will have no laptop, so I will make a post when I come back. But for now there will be not so much posts! Bye. Hi. I saw some penguins with a background that has lots of penguins on it! I asked penguins about it and they tell you stuff like: I got it for working at cp, I got it at the fair, I got it because I rock. They did not get it for working at CP! I know because I sent the CP team an email asking how to get it. Its with a game in the UK, nowhere else! But just go to Amazon and type in Club Penguin Top Trumps card game. But here is a link to the page. amazon.com If you click this it will go to the page Club Penguin Top trumps card game on Amazon. But that’s all for now. Bye. Club Penguin Is there a new DS game coming out? Hi. I was on CP yesterday and I wanted to know if there was a new DS game coming. So I sent them a question and I got a email today! It said: That is a good idea do you have some ideas? It said something like that! But it sounds like if they are some of my ideas might be in a DS game! Well that’s it for now. Bye. Now the CP team want my ideas for missions, too! I asked the CP team if they will make a TV show and now they want more ideas!! Club Penguin – Is this rookies igloo? Hi. I was on Clubpenguinwiki for the fair 2012. And it showed a glitch, so I went on CP. 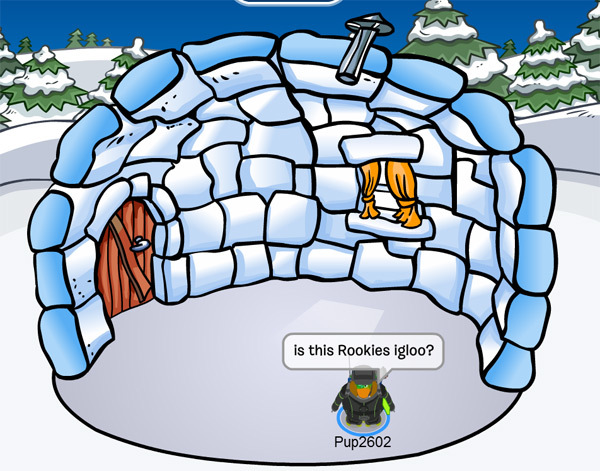 I did what it said but instead it let me into Rookies igloo! this might not be Rookies igloo, but if it is here is a pic. This igloo has no likes! which means it might by Rookies! Well that cheat is cool. But bye for now. Hi. CP updated there website yesterday. and a new CP times came out witha new field ops. Here are some pic of the CP times. And here is the cheat for the field op. First go to the EPF HQ and click the sreen to the right. 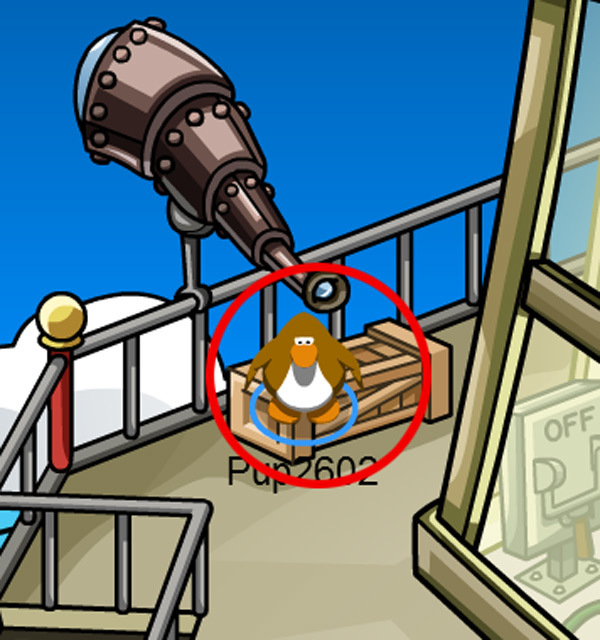 Now go to the top of the light house and click on the telescope. Here is a pic. Now click your phone and you will play a game then you did the field op. Well that’s all for now. Bye. This is the Upcoming Party!